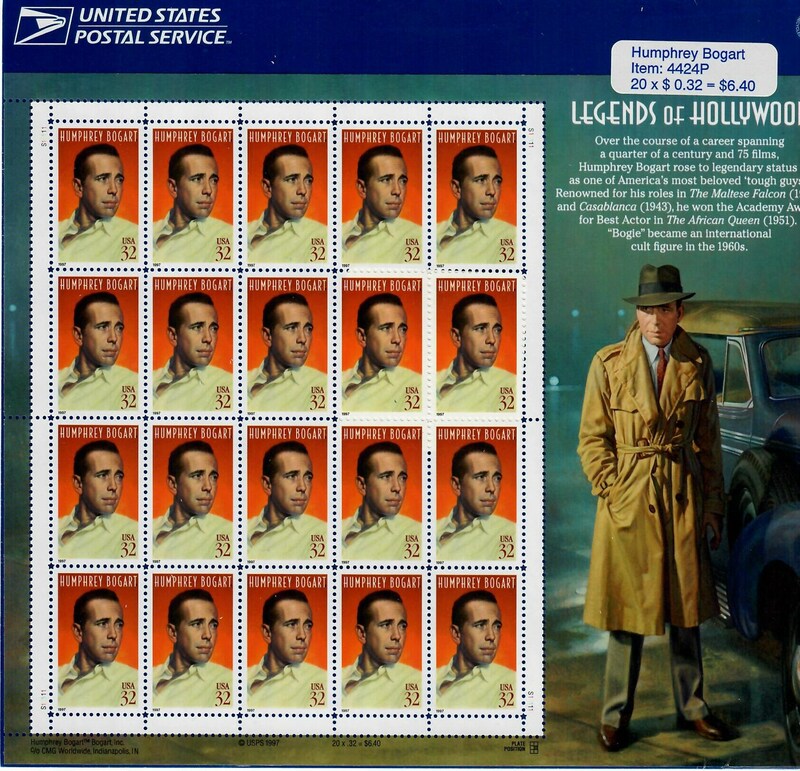 Like Marilyn Monroe and James Dean, who preceded him in the Legends of Hollywood Series, Humphrey Bogart was one of the few individuals able to transcend the silver screen to become a true legend. His rugged good looks, husky voice, and gruff, yet sensitive attitude earned him worldwide recognition and made him one of the most distinctive leading men of film’s Golden Age. Humphrey DeForest Bogart began his theatrical career following World War I. But it wasn’t until 1936 that he achieved fame with his portrayal of gangster Duke Mantee in the film The Petrified Forest – a role he had also played on Broadway. The ideal tough guy, Bogart went on to portray gangsters in several other notable films during the late 1930s. In 1941 his role as detective Sam Spade in The Maltese Falcon gave him a new image and proved his versatility as an actor. A top box-office attraction, Bogart starred in a number of well-known films, including Key Largo (1948) and the Academy Award-winning The African Queen (1951). But his most popular role by far was that of nightclub owner Rick Blaine in Casablanca (1943).